The final part of our “How to make your e-commerce site profitable” series looks at long-term plans and strategies for continuing to improve your website and sales as time goes on. Like any other part of the web, your e-commerce website is a living entity that requires attention and ongoing attention for the most success. This blog post looks at how you can create low-cost, low-time strategies for ongoing maintenance and further improving your traffic and sales. If you’re familiar with this series, you’ll know that a lot of our advice regarding motivation, completing tasks, and pushing your website forward boils down to three key things: creating specific goals, planning your time and tasks effectively, and working from a realistic schedule. For best results, this should always be an ongoing approach, particularly if you work on multiple websites. Creating weekly, monthly, quarterly, and yearly schedules and goals is the easiest way to stay on track. Weekly – Basic sales reports, stock management (if needed), ongoing marketing tasks (e.g. social media). Monthly – In-depth sales reports, stock management and planning (if needed), basic analytics reports (e.g. traffic, bounce rates, goal conversions), content plan, email marketing plan, email marketing analytics. Quarterly – Rough marketing and sales plans (campaigns you’re planning to run etc. ), setting/assessing smaller goals (e.g. season profit), seasonal marketing/sales plans. Yearly – This is the point where you set your longer-term conversion goals (e.g. how many sales, customer accounts etc. you’re aiming for). It’s also the time to do any important checks and admin, for example creating yearly analytics reports, checking domain name and web hosting renewals, assessing annual achievements and reviewing goals and larger plans/projects. As and when – Security updates as needed, product launches, seasonal promotions, end of line product reviews. You can always add in tasks specific to your business, or include daily and fortnightly tasks as required. This is just to help kickstart your planning without making it overwhelming. If you haven’t already set up any kind of analytics tracking for your website, drop everything and do it asap. Even if you’re not planning to use the data today, collecting as much as you can as soon as possible is worthwhile as you never know when it will come in handy. There are plenty of options available for free analytics software for your website; two of the most well-known are AWStats and Google Analytics. AWStats is a reliable classic, but for the data options and reporting tools you’ll need to monitor an e-commerce website in depth, we recommend Google Analytics or our self-hosted options (free with any hosting except a Starter Pro) Open Web Analytics (OWA) or Piwik. Please remember that if you use a self-hosted analytics package, you will need to keep on top of any upgrades and security patches as you would any other software. You can even use more than one set of analytics to allow for error, work as a backup in case of any issues, and have different data presented to you in different ways. Once you have collected enough data to work with, you can start creating goals and benchmarks for traffic and general goals (e.g. a certain number of sign ups, orders or basket values). You can also segment your visitors into different groups, e.g. ‘signed up but not bought’, ‘spent over x’, ‘spends over y per transaction on average’, ‘buys product z’ and so on to ensure your emails are more targeted and you can predict behaviour. Even before that point, you should set up your own analytics funnels so you can track successes and drop off points for sales, sign ups, or whatever else you’re counting as a conversion. 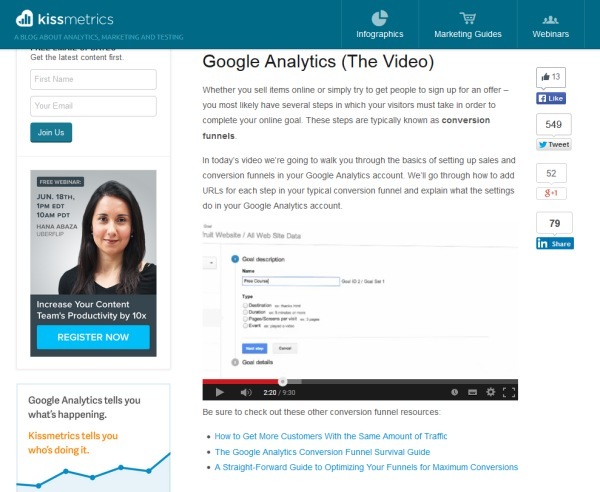 We talked briefly about Google Analytics funnels in Part 3: Accessibility and UX, and we highly recommend you check out Kissmetrics’ video How to set up conversion funnels in Google Analytics if you haven’t already. It’s easy enough to fall into the trap of thinking that analytics is a ‘set and forget’ task, particularly if you don’t find data very interesting. The reality is that you should be checking your analytics data on a very regular basis, to identify any patterns/trends and the (possible) reasons behind them. If you notice particularly significant peaks, dig deeper to find out where the traffic is coming from if possible. Where possible, use unique URLs (e.g. bit.ly or the Google URL builder) for links outside your website. This is particularly important for real-world marketing – like leaflets or business cards – so you can track their success. If you experience a significant traffic drop, always start by comparing the sources of your traffic from a typical time period and the drop period. Make sure any paid advertising campaigns are still running and your website is getting good exposure. Log in to your Google Search Console/Webmaster Tools accounts (more on these later) to see if any problems have been flagged. Check any known sources of major back links to see if they’re removed your link, experienced significant downtime, or even closed altogether. If your organic search terms are lower than usual, cross-check the dates with major Google algorithm updates. Finally, make sure you don’t panic. Fluctuations are natural for all websites, so don’t panic the second you notice something looks different. Give it a few days and make plans for aspects to change and test (one at a time). A general upward trend with no prolonged significant drops is what you’re aiming for. You should still track URLs outside your website where possible, so you can see where you’re getting the biggest benefits for your time/money. To do this, you can use various free tools that will add tracking to your links. Google URL builder – This is great for tracking pretty much any link outside your website, for example banner ads, email marketing links (especially if your links appear in other people’s emails), and so on. They will automatically show up in your analytics software so you know where traffic originated from. The downsides are that your URLs are longer, not particularly memorable, and people can remove the tracking code easily if they really want to. For this reason, they are best avoided on social media and anywhere you want a memorable URL. To get started with URL builder, check out Google’s URL Builder guide. Bitly – There are many URL shortener websites, but this is probably the most well-known. If you want to hide or shorten your URL and get some basic tracking, this is the tool for you. You can use the standard bit.ly address or even use a domain name of your choice for better branding. You’ll only get data to show the number of clicks and a graph to show the rise and fall of the trend, but links can also be tracked through your analytics software. They are good for tracking organic social media traffic in more detail, particularly on networks where you have a restricted character limit. 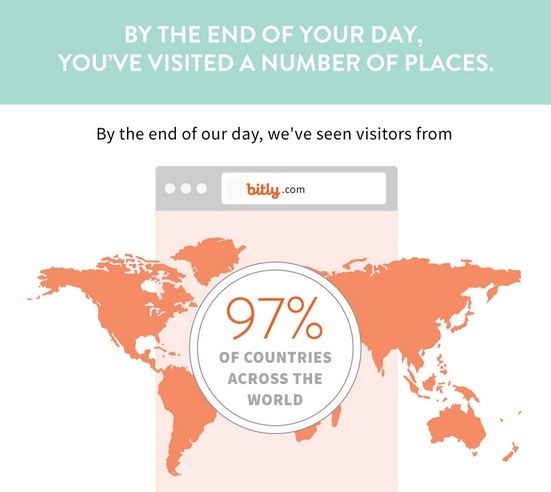 Simply sign up for Bitly here. Many of the major social networks, such as Facebook, also have an admin dashboard with analytics available so you can get data on what kind of people have seen your posts and which have got the most interaction. Take these figures with a grain of salt and remember that the metrics they choose to display to you are limited, often change (making it difficult to create accurate long-term reports), and are fundamentally about convincing you to buy advertising. However, they are still useful for getting more social data about your customers and potential new customers. 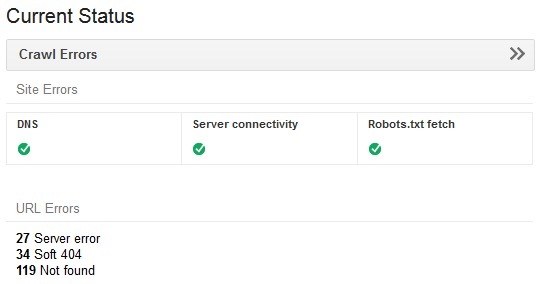 Another essential free tracking/monitoring tool, both Bing and Google have their own toolkits that you can install simply by verifying your website through their quick processes. They show all kinds of data, including pages of your site that have been crawled and indexed, any issues you might want to check out (such as prolonged inaccessibility or mobile optimisation work), basic analytics, search appearance, security issues, and automatic penalties you may have incurred. These tools should be another data-source you check regularly, and one of your go-to sources should you be concerned about traffic fluctuations. How much you use it in practice will depend on your website and how its optimised for search engine crawling, so if you’re seeing issues on a regular basis, you’ll want to look at significant changes you can make for more positive long-term results. One of the more time-intensive areas of improving your website is testing (and actively using your results to make further improvements). However, it’s also one of the most beneficial ways to spend your time. 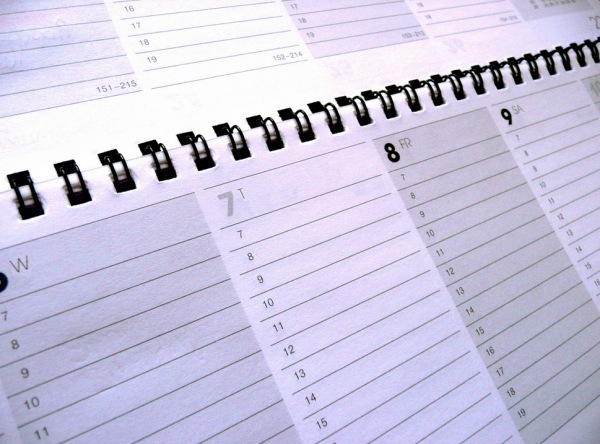 Again, a schedule is key to staying on track. Simply add a ‘Testing:’ line to your spreadsheet/calendar underneath each item of content/marketing (e.g. blog posts, emails and so on), then add another separate line to mark off different areas of your website to test in any given period. To start with, you’ll want to focus on your home page and anywhere you see significant visitor drop offs on your website (identifiable by the analytics funnels you set up). Any part of your website and marketing materials can be tested, from button colours to font choices to image sizes to text changes and beyond. For best results, you should always be testing something – preferably several things that won’t conflict – at any given time. They key areas you’ll want to look at are your website and your email marketing. If you use a comprehensive service, you can set up A/B tests to automatically segment data for you to review and improve. 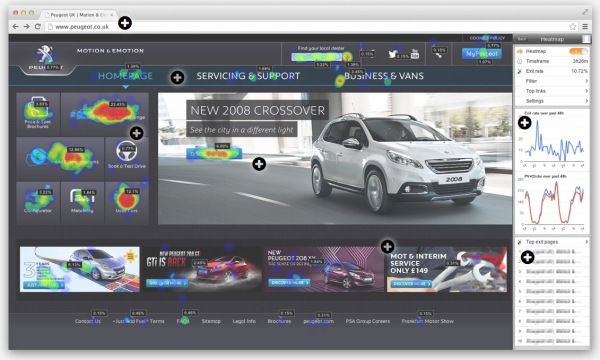 Heatmaps are a visual depiction of the hotspots and cold spots on any page of your website at any given time. Once you can identify the patterns of where your visitors look and click, you can eliminate any distractions and irrelevant features. For example, you may find that all your visitors are only clicking the top left link on your ‘About’ page, so you can remove the ones on the right, or move them to the left so that they get more attention. Once you have your testing and tracking toolkit, you can use the data you collect and the tests you perform to continue improving user experience and encourage visitors to complete your goals. Even if you don’t use all the tools all the time, they can help you determine the types of content, titles, images and other elements that work better for your business. Although you may have gone over your website a hundred times yourself, it’s easy to miss (or not realise) the fact that a certain image looks clickable but isn’t, or your visitors end up hitting a dead end or going round in a circle at a certain point. In conjunction with a good marketing strategy, this is really where you start to make long-term gains for your e-commerce business. As this series draws to a close, we hope that you’ve gained some useful tips and advice for your e-commerce website regardless of its age or niche. If you have any questions, please leave a comment below. In the meantime, if you have any suggestions of topics you’d like us to cover, please email your ideas to marketing@heartinternet.uk, and we’ll try and get them up on the blog in the near future. Thanks!